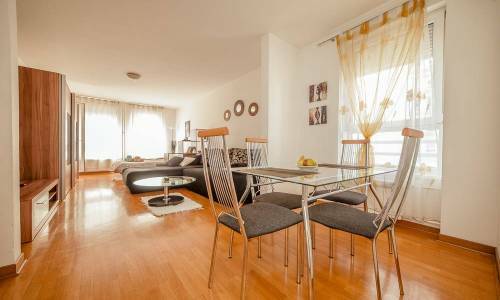 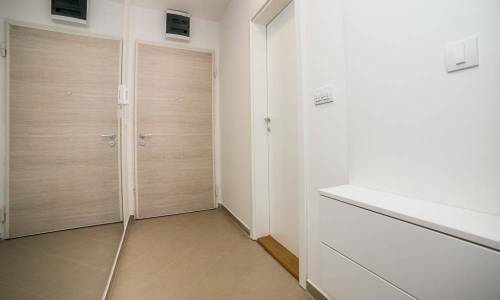 Apartment Carigrad 3 is our third apartment in this very street in Dorcol. 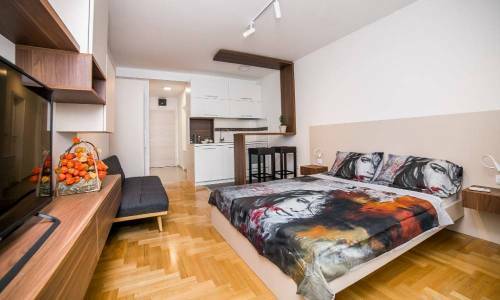 This part of the city is a unique mixture of styles of old and modern Belgrade and this is the perfect place to experience Belgrade, to see what it used to be and what it is today. 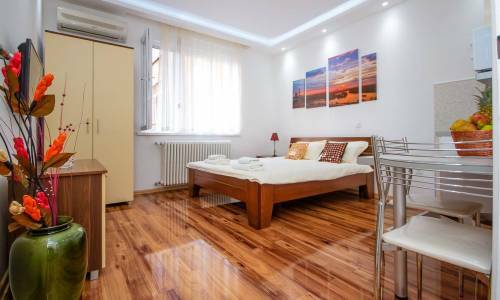 If you take a walk, you'll be in famous Strahinjica Bana street within minutes. 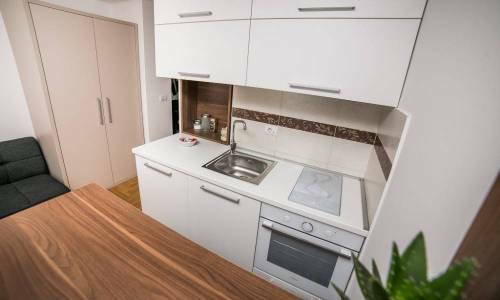 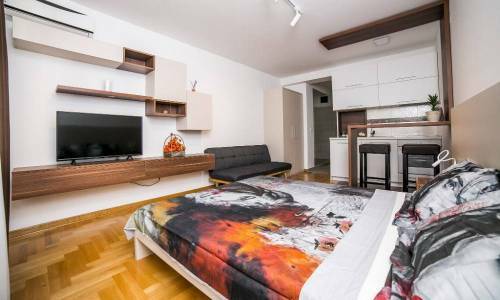 This street is well-known for its nightlife, cafes and partying, and not far away from here is the Danube promenade and the Sports Centre Milan Gale Muskatirovic. 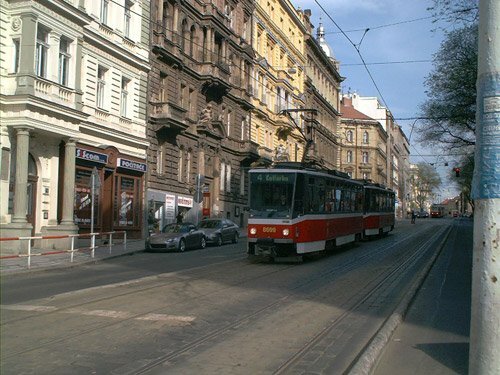 Skadarlija street is also reachable on foot. 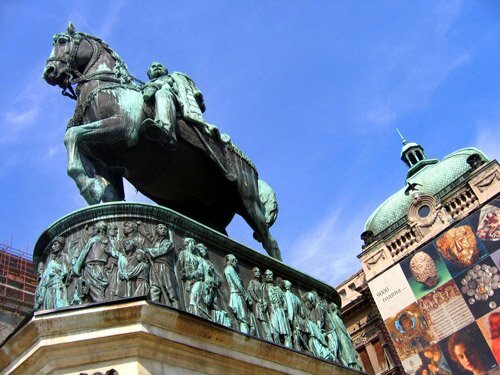 If you'd like to take a walk to the Republic Square and Knez Mihailova street, it will take you some 10 minutes. 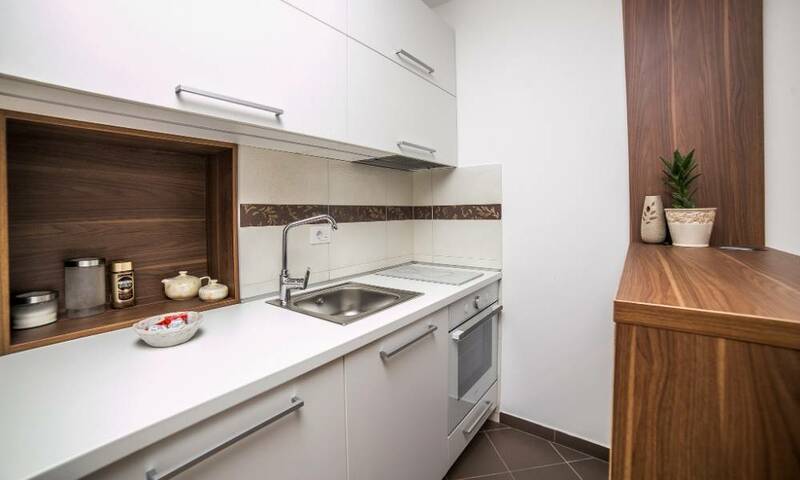 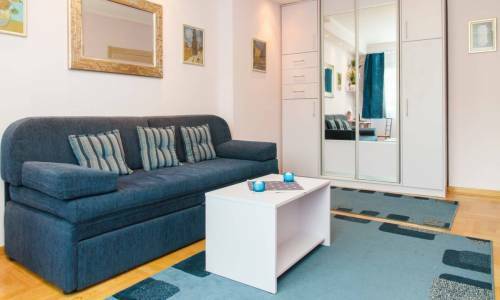 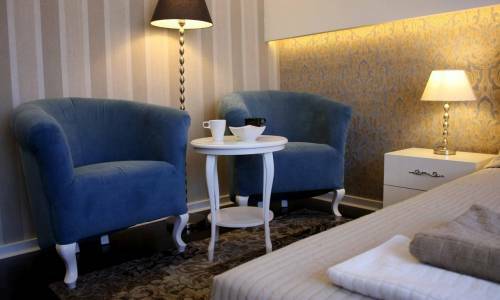 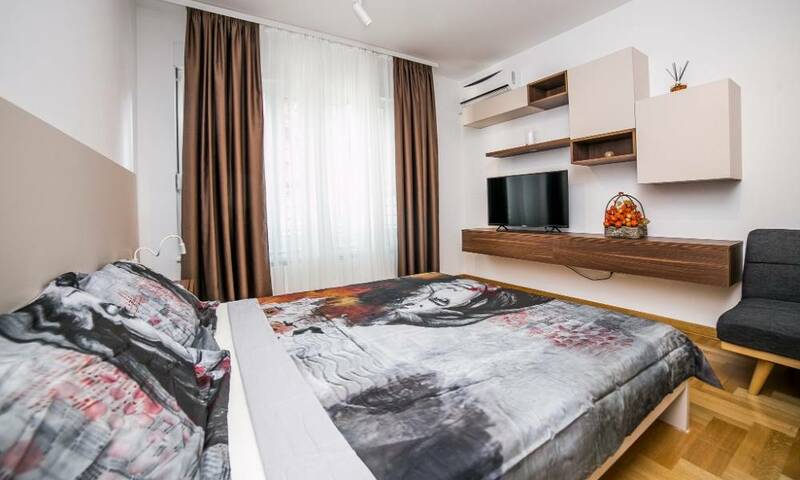 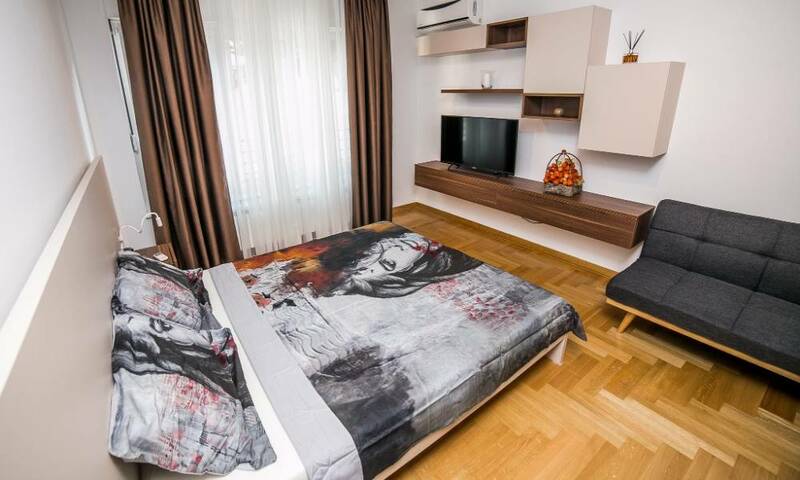 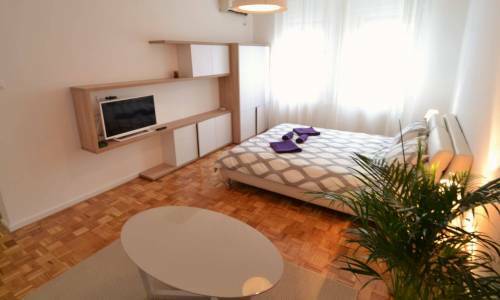 Carigrad 3 is a comfortable studio with the size of 36m2, intended for three persons. In addition to the large double bed 160x200cm, the apartment also offers a fold-out bed, suitable for the third guest. 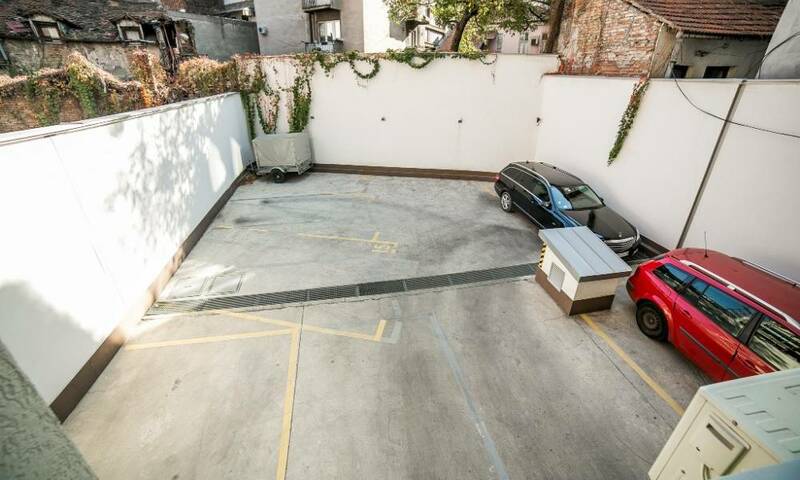 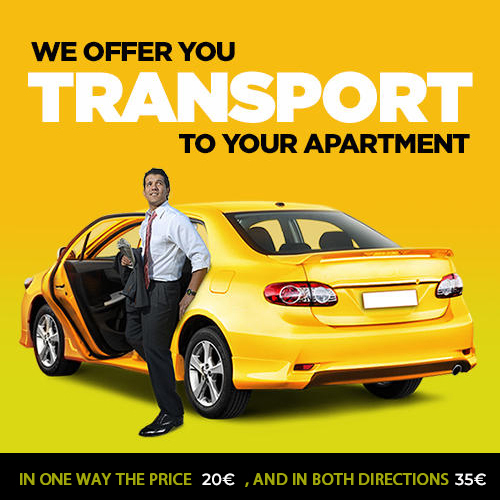 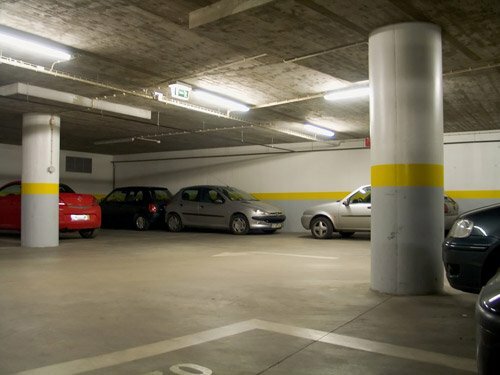 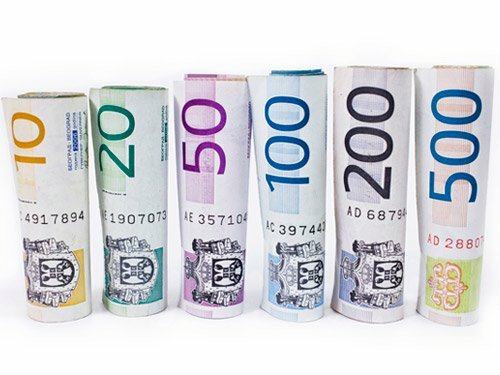 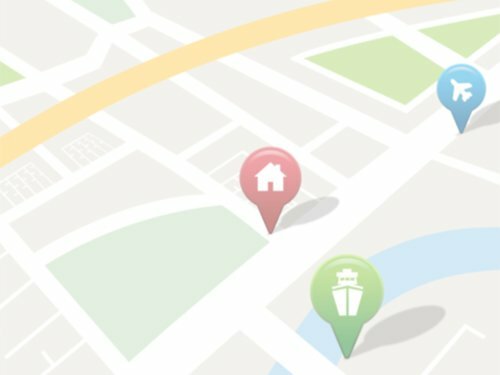 The price is 35eur, and if you'd like to use the garage, this is charged 5eur/day. 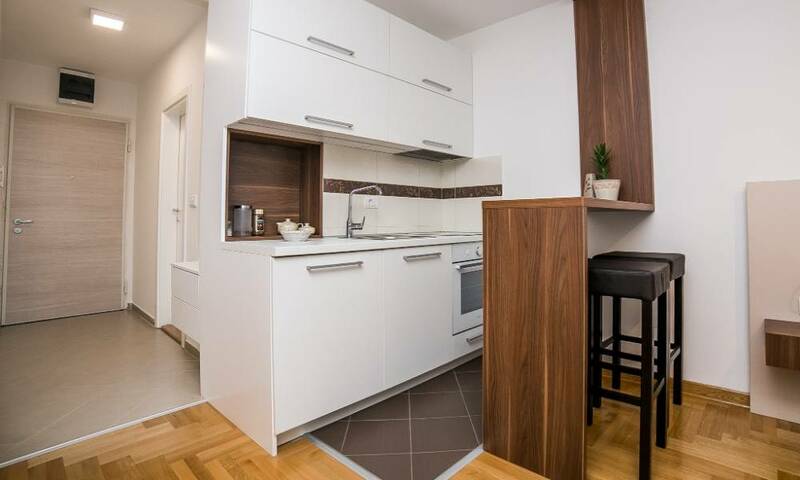 The kitchen has a bar and two bar stools and is fully-equipped and brand new, just like the rest of the apartment. 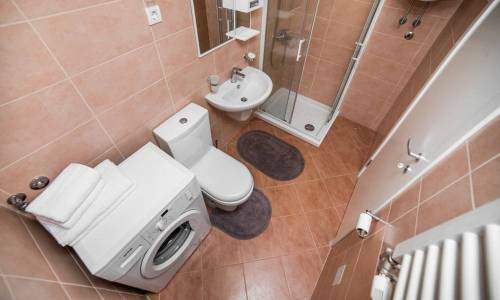 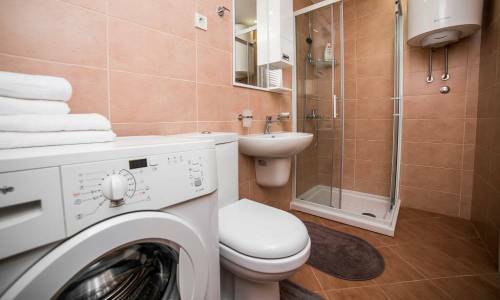 The bathroom offers a shower and a washing-machine, so Carigrad 3 is convenient for both short and long-term stays. 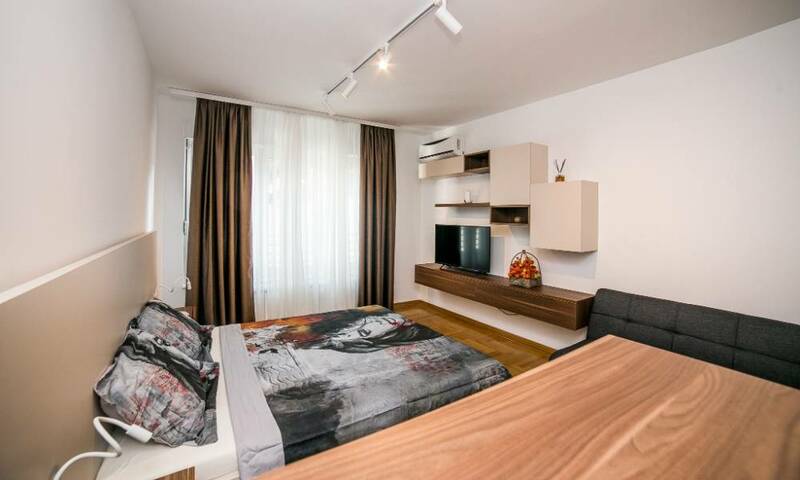 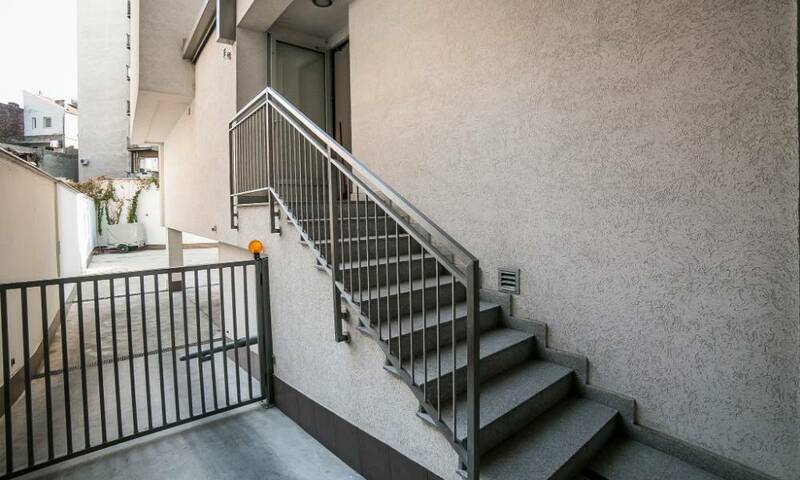 This apartment definitely deserves a high position on our website and is indeed one of better choices in the category of studio apartments.